A good first effort from this Norwegian five-piece featuring two guitarists, as well as bass, keys and drums. Vocals are handled by both keyboardist Siri Seland and drummer Pål Søvik, the former who wrote all the lyrics (in English) and co-penned the music with bassist Tore Bo. Their music is quite original, seemingly influenced by many different rock/pop based sources, yet retaining its own identity. The hooks and standard song structures of the mainstream are there, but the band uses an instrumental mix that is more typical of the modern progressive rock of bands like Landberk or Porcupine Tree. The guitar touches are really nice, especially when the solos start, keyboards providing support, melodic structure,and coloration. The rhythm section is indeed capable, providing a rock-solid framework over the album's twelve songs. 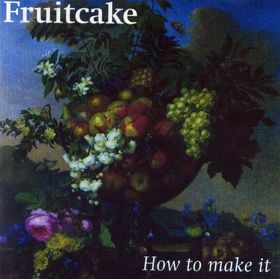 Vocals are what makes Fruitcake most atypical, though; on "Stone of Light" I am reminded of a meeting of Dire Straits (vocal) and Pink Floyd (guitars). In summary, this is a promising debut.